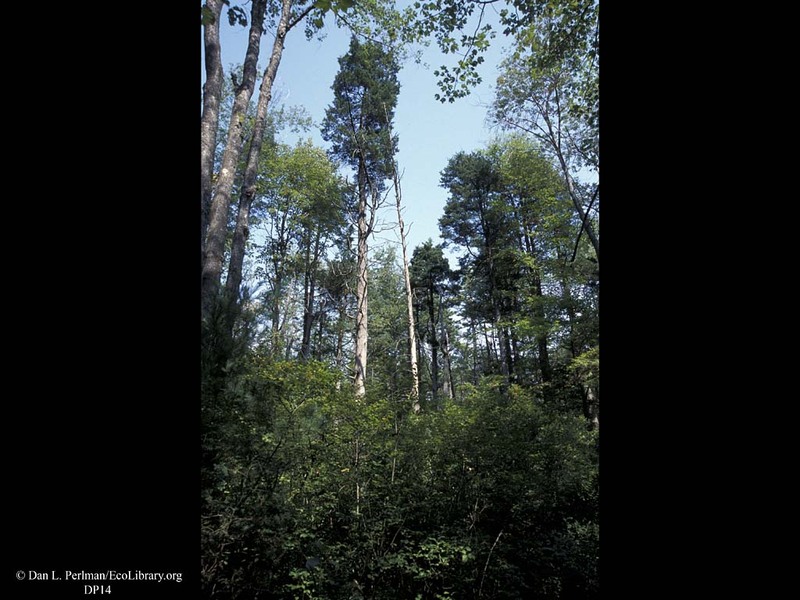 Atlantic white-cedar swamp, Massachusetts. Swamps are wetlands that support trees along with shorter plants. White-cedar swamps, such as the one in this image, were once rather common in coastal New England. But with the many uses of the rot-resistant wood, such as for shingling and roofing, most of these swamps were stripped of trees long ago. This swamp is protected by The Nature Conservancy.